Check-in begins at 7:00am; climb at 8:00am. Memorial begins at 8am on the island in front of the Main Gate at Cal Expo. The 2970 pairs of shoes represent the lives lost on that day. This will be followed by a program including a motorcycle tribute, prayers, choral group, parajumper delivering the American flag, playing of the National Anthem, and memorial messages. The Tribute will include an opening ceremony including the National Anthem and remembrance, activities for kids, live music, as well as a variety of foods and refreshments. The California State Fair September 11 Memorial Plaza will be open to the general public from 10:30am to 5pm. 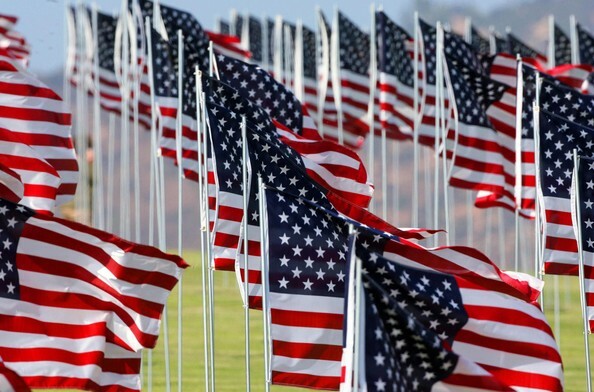 Parking at Cal Expo this day will be free and admission to the memorial will be free. The event pays tribute to the heroes of September 11, 2001, respecting their sacrifice and honoring their unwavering service to their community and country. The event takes place from 2pm – 3:30pm on the East Steps of the Capitol. American Flags will be handed out to the first 1000 attendees. September 11, 2011 in Cal Expo, Event, September 11.